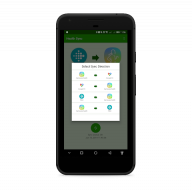 Sync your health data between Google Fit and Samsung Health, or between Samsung Health and Fitbit, Garmin or Polar. Every 10 minutes or just a few times per day, you choose how often. It will sync data from the time you first use the app. 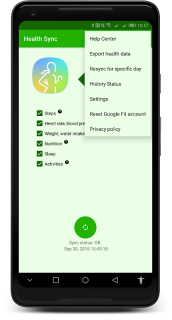 History data (all data before the day of installation) can be synced after the free trail period, but currently this is only supported between Google Fit and Samsung Health. Health Sync works with the data stored in Google Fit, Samsung Health, Fitbit, Garmin or Polar. 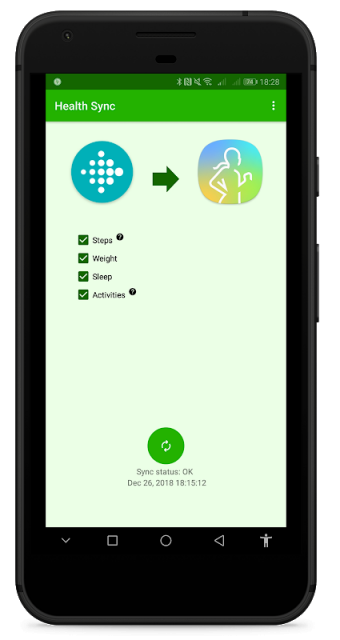 Also when health data is tracked by your wearable (Fitbit Charge, a Polar wearable, a Garmin wearable, Android Wear, Samsung Gear or the Galaxy Watch for example) it will be synced, as long as it is stored in Google Fit, Samsung Health, Fitbit, Garmin or Polar. Health Sync does not connect directly with the wearable device, but with your Google Fit account, the Samsung Health app on your phone, your Fitibit account in the cloud, your Garmin account in the cloud, or your Polar account in the cloud. Weight, water intake, nutrition, blood pressure, blood glucose, blood oxygen saturation and heart rates are synced in both directions: from Samsung Health to Google Fit and from Google Fit to Samsung Health. 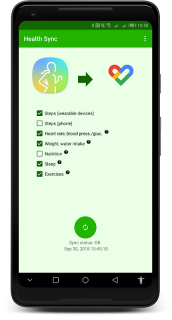 The other health data (steps, sleep, exercise/activity) is only synced in one direction: from Samsung Health to Google Fit or from Google Fit to Samsung Health. It is technically not possible to sync this health data in both directions. Fitbit data (sleep, activity, steps and weight) is synced to Samsung Health. You can also choose to sync Samsung Health data (sleep, activity and weight) to Fitbit. It is currently not possible to sync Fitbit data to Google Fit, or to sync data from Google Fit to Fitbit. The sync from Fitbit from and to Google Fit will be added in the future. 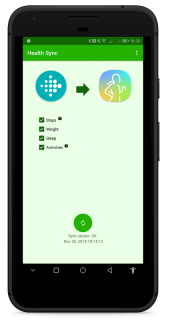 Polar data (activity, steps and weight) is synced to Samsung Health. It is currently not possible to sync Polar data to Google Fit. Garmin data (activity, heart rate, sleep, steps and weight) is synced to Samsung Health. It is currently not possible to sync Garmin data to Google Fit.